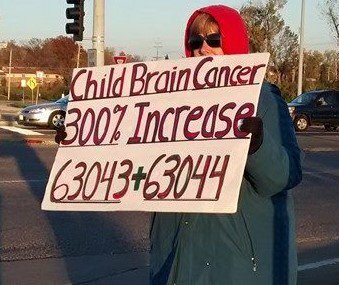 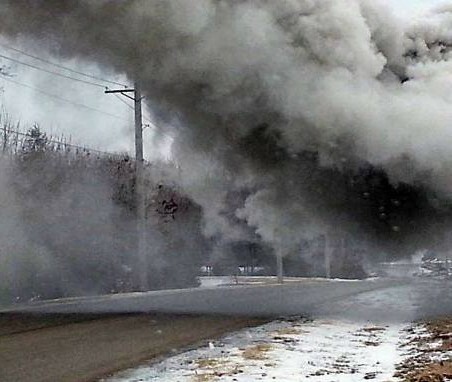 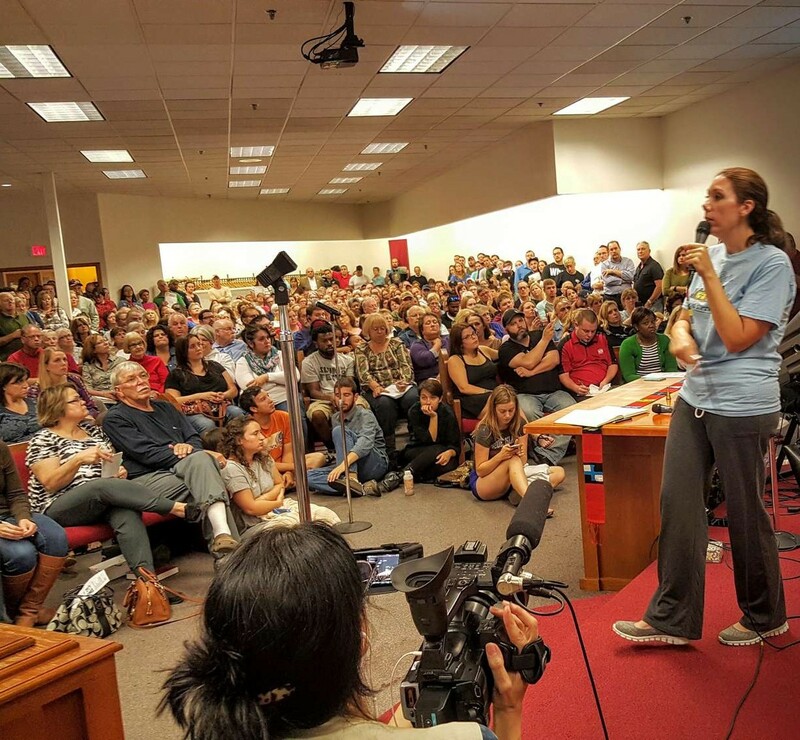 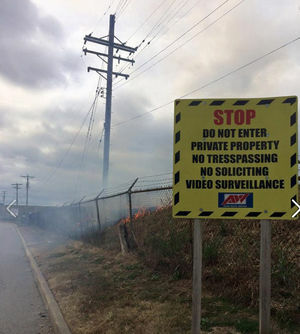 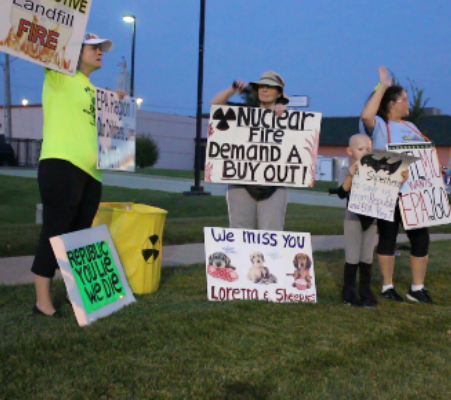 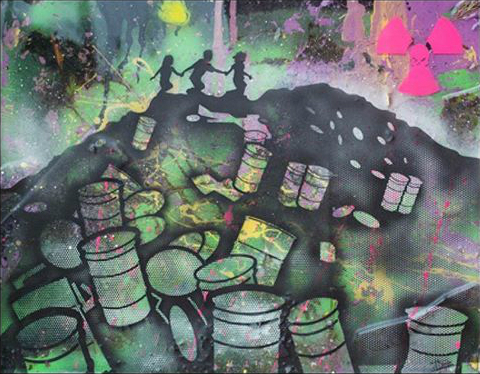 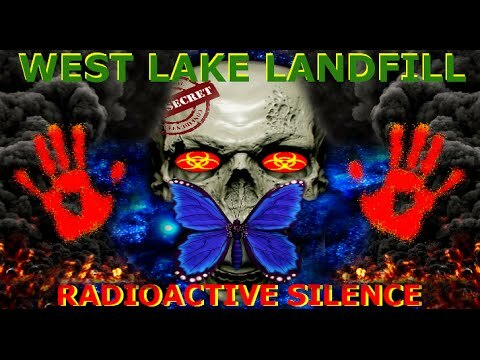 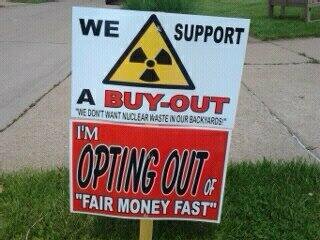 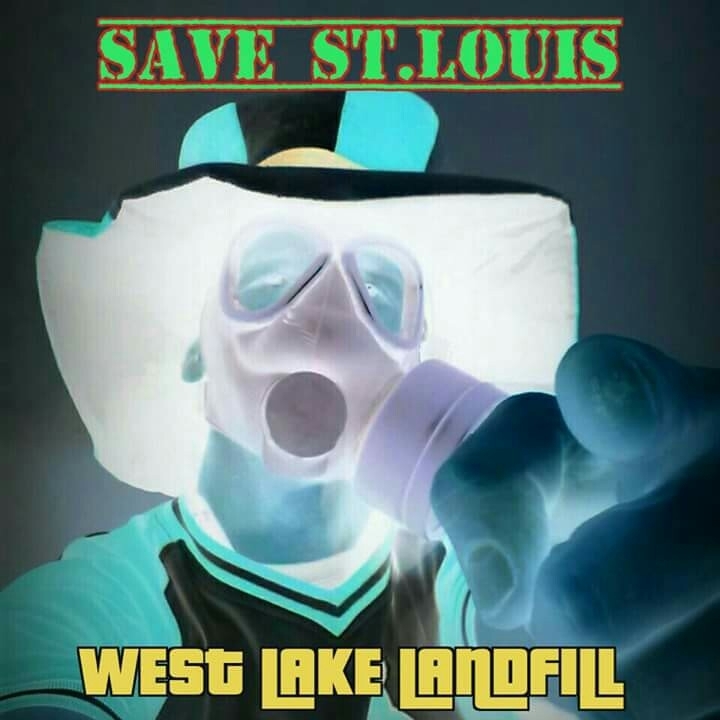 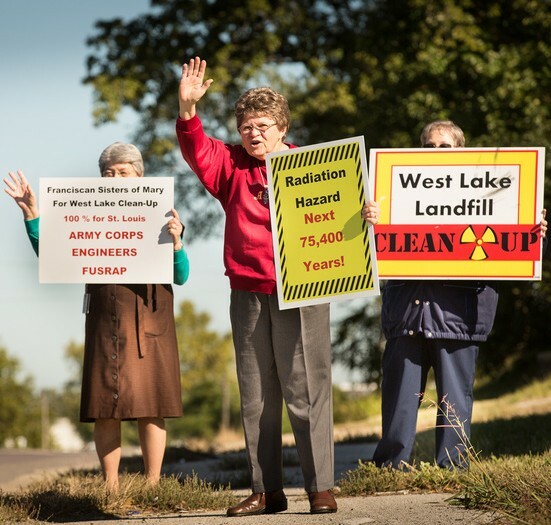 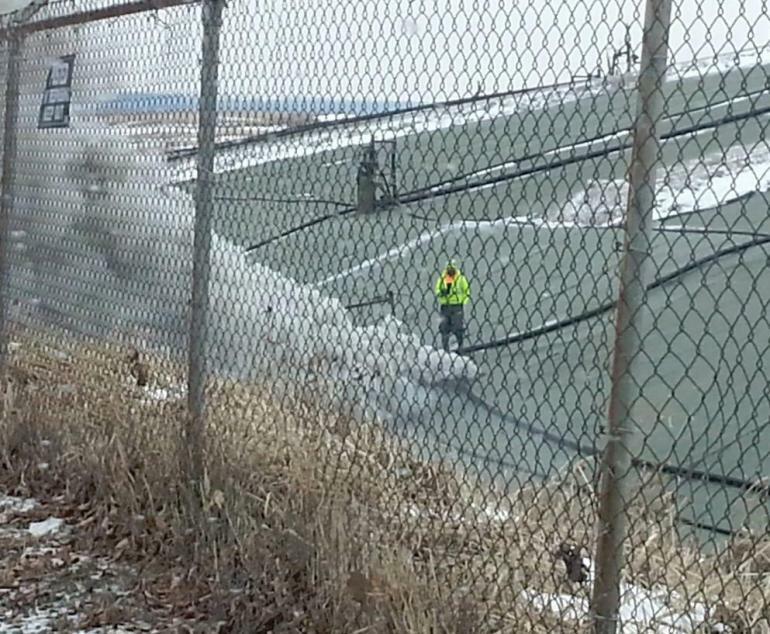 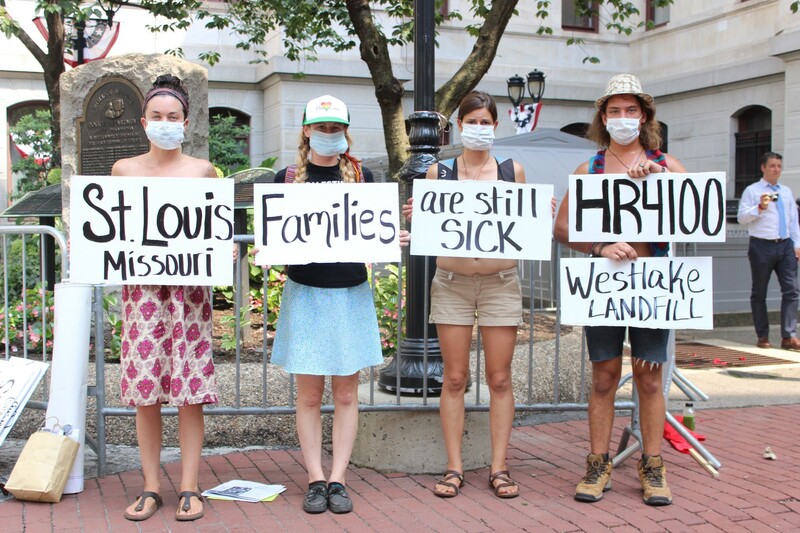 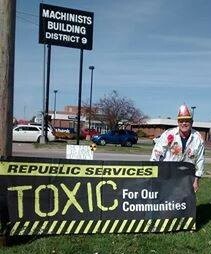 In November 2012, Karen Nickel started the West Lake Landfill Facebook group. 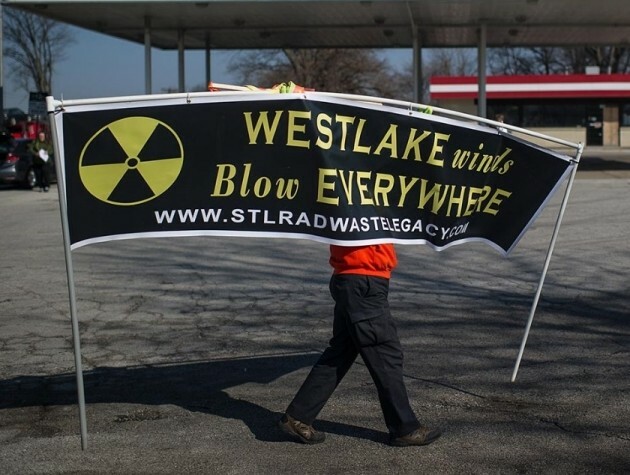 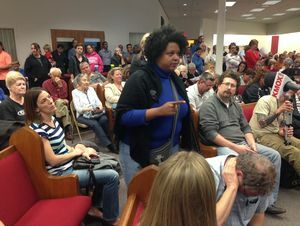 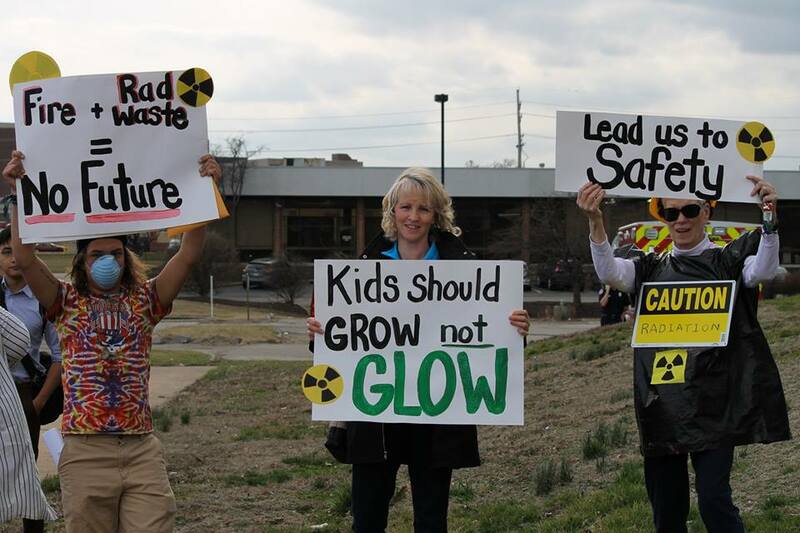 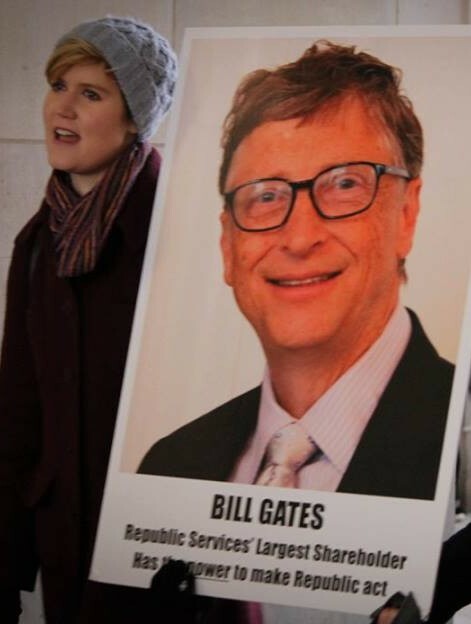 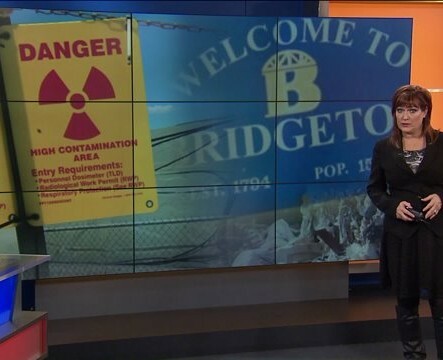 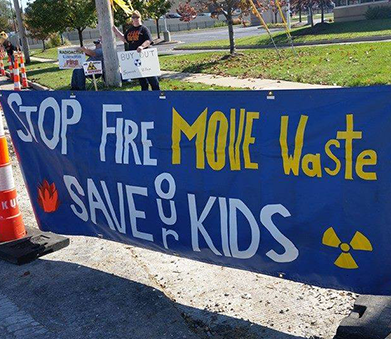 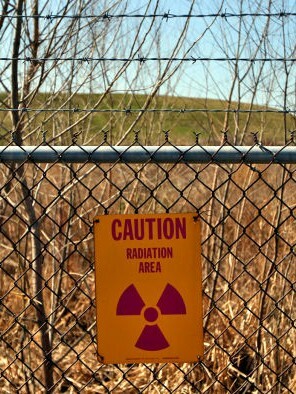 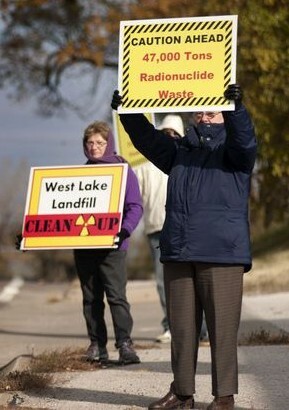 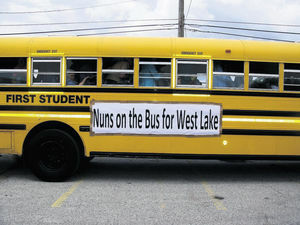 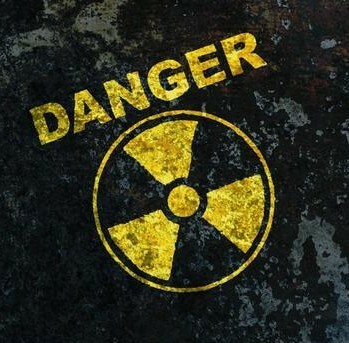 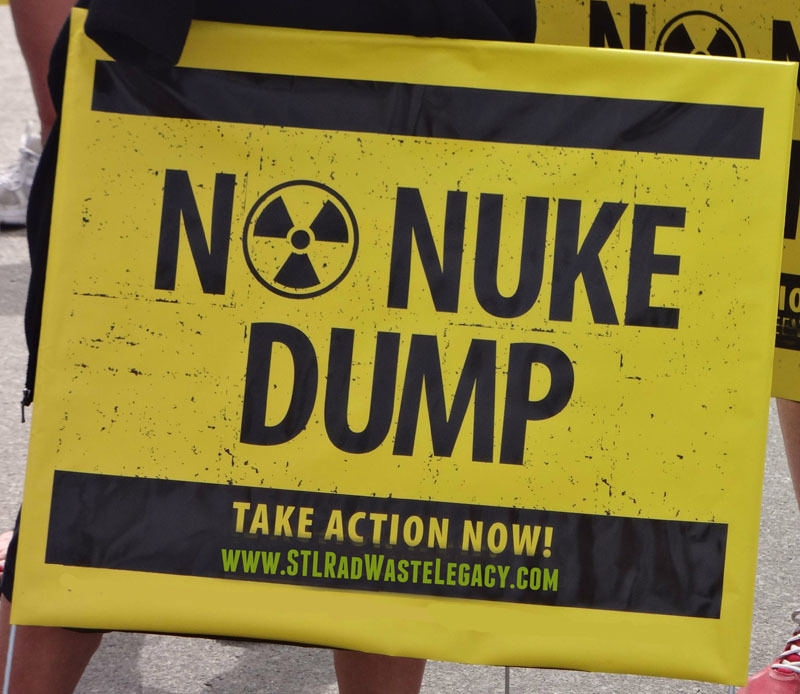 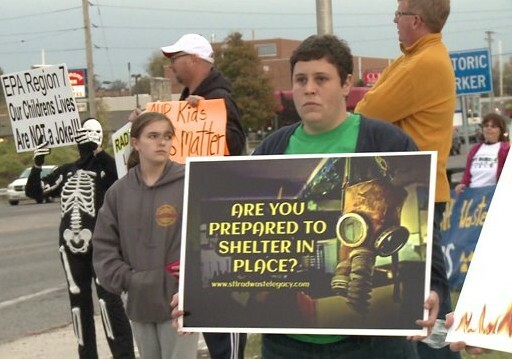 The goal was to educate the community about the potential hazards and health risks surrounding the West Lake Landfill. 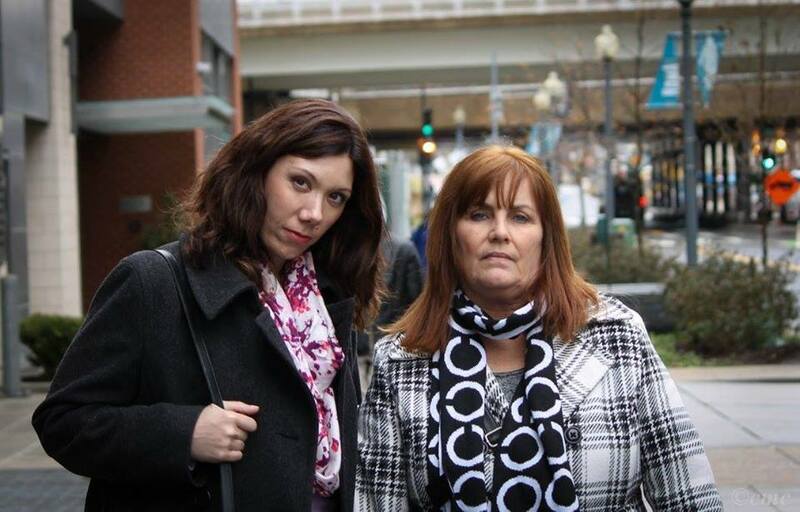 Shortly after, Karen met Dawn Chapman and Beth Strohmeyer who jumped on board. 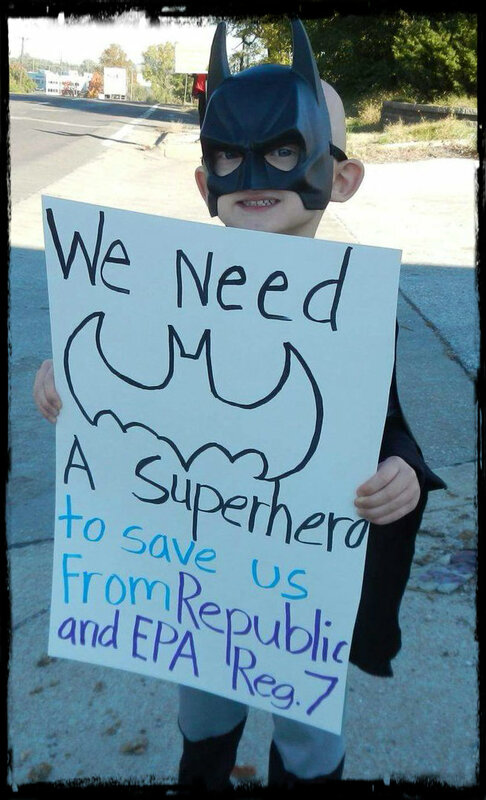 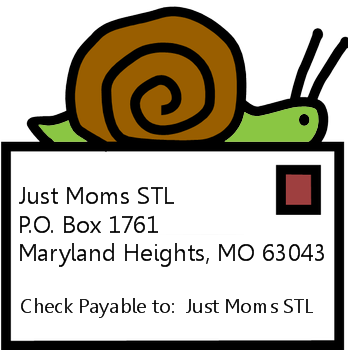 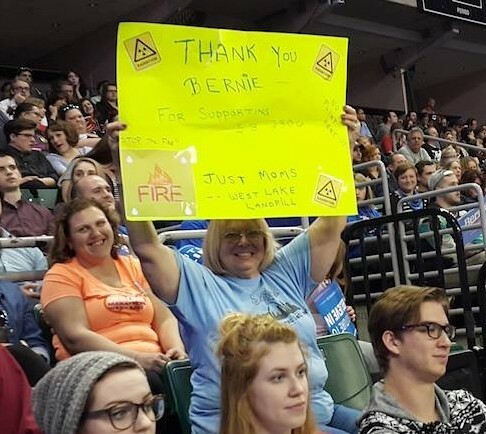 Together, they founded the non-profit organization, Just Moms STL in March of 2013. 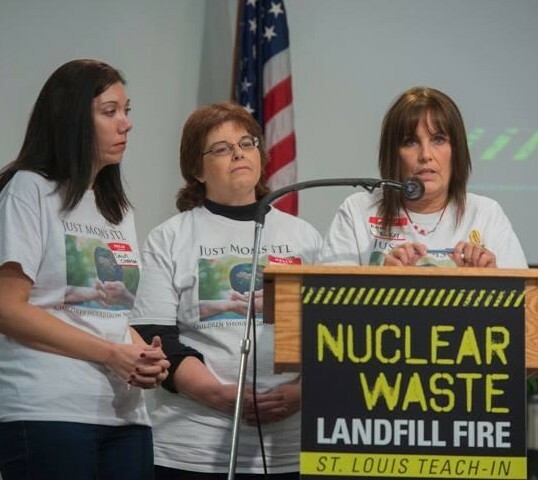 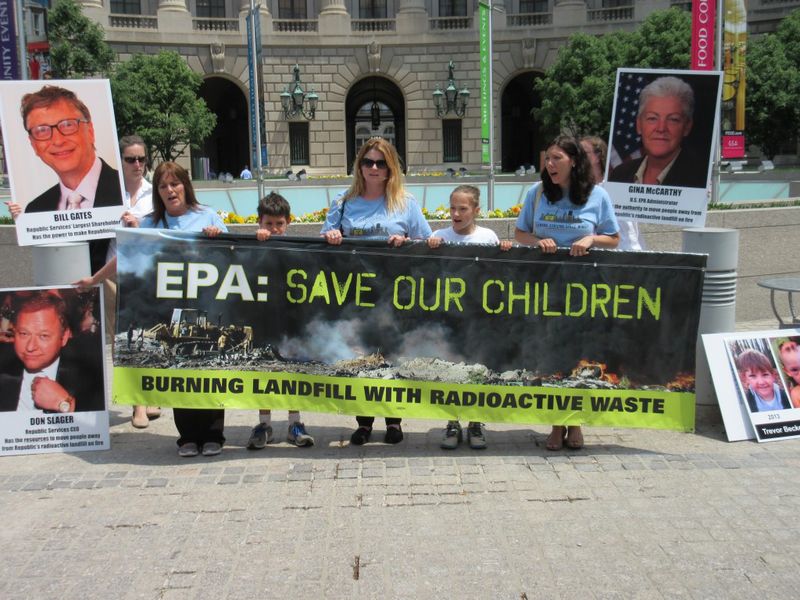 The main award went to Dawn Chapman and Karen Nickel, co-founders of #Just Moms, a group campaigning for the cleanup of the West Lake Landfill. 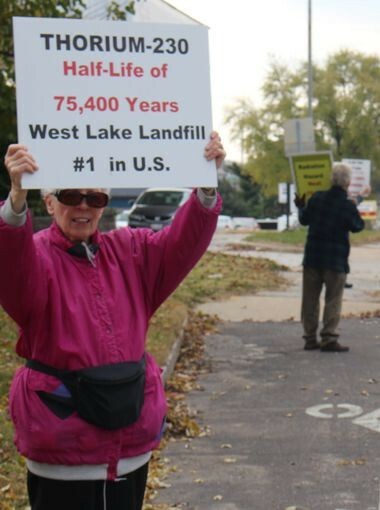 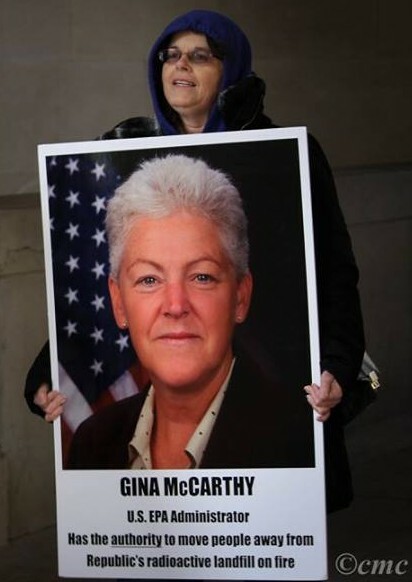 Longtime environmental activist Kay Drey presented the award. 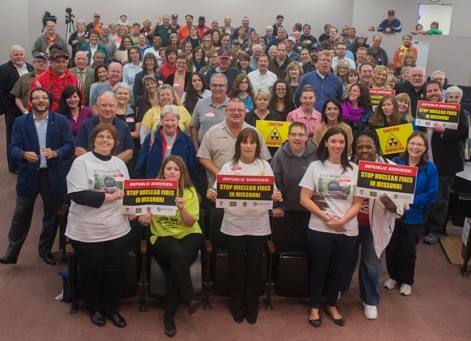 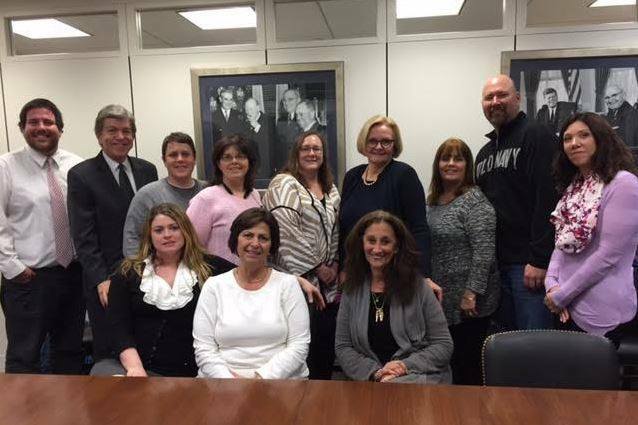 Just Moms STL Group Photo taken at the “Teach In” with Guest Speaker Lois Gibbs, 10/04/2014. 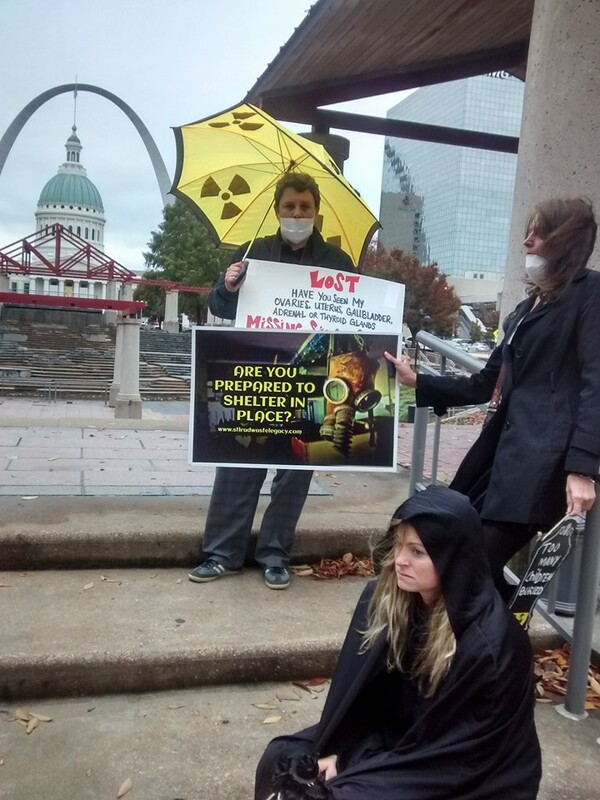 Missing are many volunteers getting refreshments at photo time.